Looking for a Condo on U Street? If you’ve been looking in vain for a condo in the U Street area, I’ve got good news for you – a whole bunch of new inventory is about to open up! 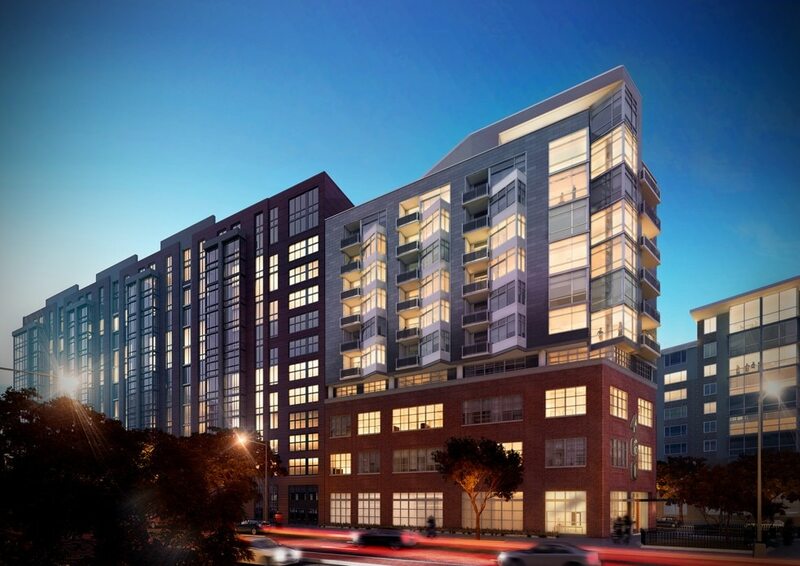 Sales for The Hatton, at 1921 8th St. NW, will be opening up this fall, and move-ins will start as early as Spring 2015. The five-story mixed-use building will have 245 condos and 28K sf of retail spread across a single floor. 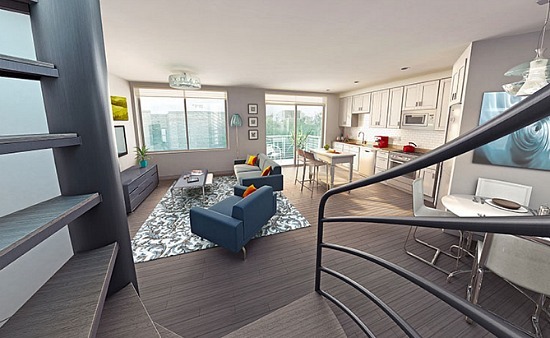 The units will range from studios to two-bedrooms, and prices will start in the high $300s. There will even be parking! 29 underground spaces. If you’d like more info or want to go take a look when they open up sales, let me know! Once considered the Bourbon Street of DC, Adams Morgan is undergoing a huge renaissance that is rapidly making it one of the hottest neighborhoods in DC to buy in. In addition to all of the fantastic new restaurants that have opened in the area like Mintwood Place and Roofers Union, sophisticated residential development is — through the area like wildfire. UrbanTurf just did a fantastic round up of the various residential developments slated for the neighborhood. Take a look, and let me know if you’d like more information on these buildings or other listings in the area! From time to time, UrbanTurf takes a look at residential developments that are on tap for neighborhoods across DC. 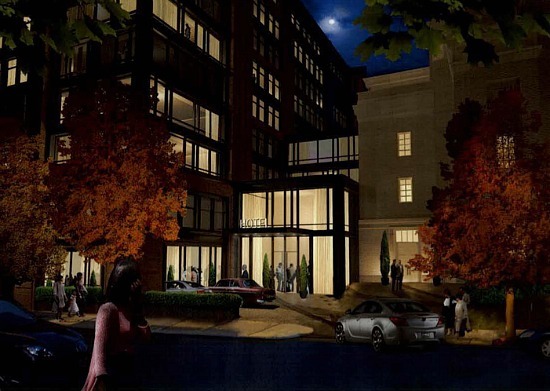 For this installment, we focus on the projects coming to Adams Morgan. 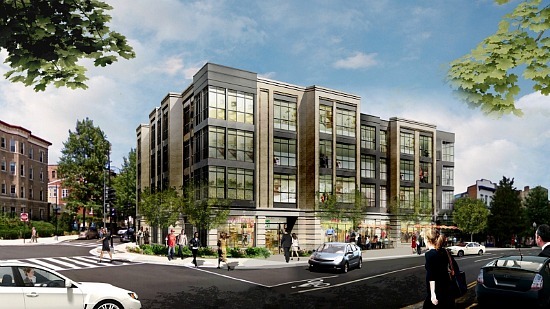 The Adamo is a 34-unit condo project in the works for the former site of an Exxon gas station in Adams Morgan. The project will have 8,600 square feet of ground floor retail and 27 underground parking spaces. Designed by PGN Architects, the building is being sold and marketed by Urban Pace. The Adamo is schedule to deliver in May 2015. Courtesy of Square 134 Architects. A nine-unit condo project is planned for the 18th Street building currently home to the Latino Economic Development Corporation. After a demolition of the existing four-story structure, the plan is to build two one-bedroom units per floor on the first three levels, and two, two-story one-bedrooms, as well as a studio, on the two highest levels. The top units will each have a private rooftop deck. Ontario 17 is a six-story mixed-use condo project from the Peterson Companies and Ellisdale Construction currently under construction on the site of the former Ontario Theater. When complete, the project will feature 9,000 square feet of retail space and 80 condos, including studios from 370 square feet, one-bedrooms from 675 square feet, and two-bedrooms from 980 square feet. Prices start in the high $200,000s for studios, and the anticipated delivery for the project is 2015. Sales are being handled by McWilliams|Ballard. 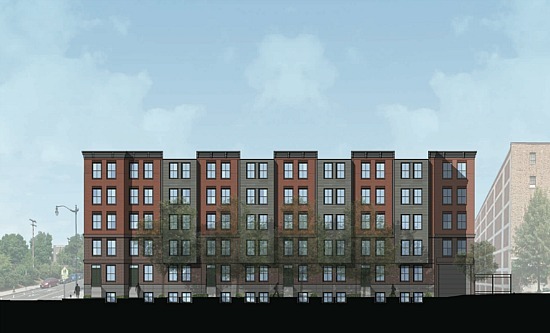 A property near the intersection of Florida Avenue and 18th Street NW that changed hands earlier this year will be redeveloped into 130-145 residential units by Kettler. The lot currently houses a dog daycare and boarding facility, and Kettler is in the process of seeking variances from the Board of Zoning Adjustment in order to begin construction on the building. The project was designed by R2:L Architects. 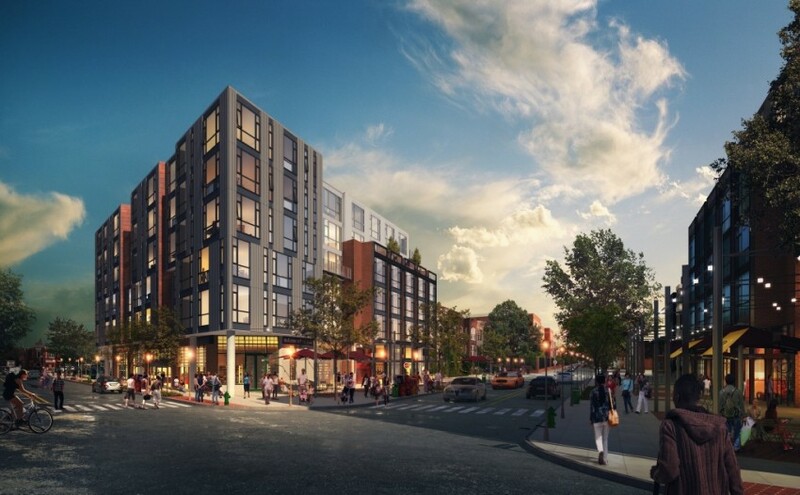 Construction on a planned hotel in Adams Morgan, The Line DC, is scheduled to begin by the end of the summer. The 220-room hotel will be built into an existing church, and a new building housing the rooms will be constructed behind the church on the site of the former City Paper headquarters. To get a glimpse of what the end product might look like when it’s completed,check out our report on it here. 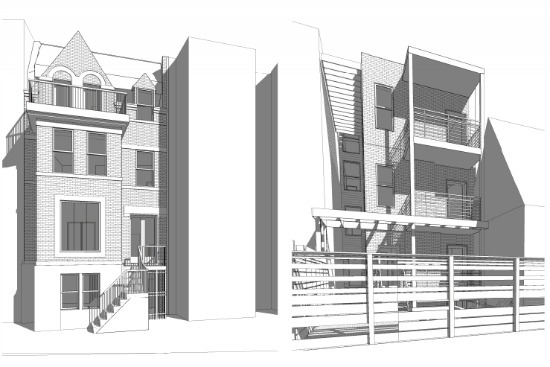 A 117-unit addition is currently being built adjacent to The Dorchester House on Kalorama Road. to an existing nine-story concrete building. 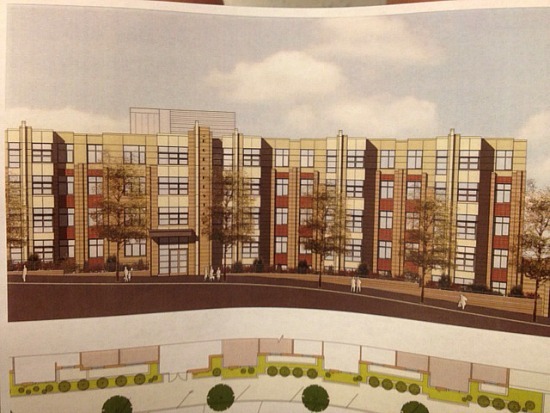 The project will rise four stories, and there will be two levels of underground parking. The unit types will be studios, one-bedrooms and two-bedrooms. The project is scheduled to deliver in January 2015. Real estate firm Fortis Cos has purchased this building at 1628 11th NW for 5.5 mil and plans to convert it into residential units. Given how ridiculously popular that area is right now, more inventory is good news! 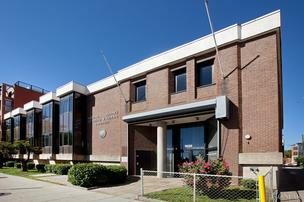 Courtesy of CBRE Group Inc.
D.C.-based Fortis Cos. is planning to redevelop the National Alliance of Postal and Federal Employees headquarters building near Logan Circle into a multifamily building.